The jeans the male is an icon. All the world has in the wardrobe! The best are made from denim raw, also known as raw denim. The measure that you use jeans made with this fabric the color goes out and emerge marks at the points of movement. After a while you have that faded denim, wonderful and unique. Denim is the fabric the raw material of his jeans, and raw denim is the denim raw, no pre-wash, fading artificial or any other detail. Is the denim in its most natural state possible. The idea is to use the pants and take advantage of. The color is changing because of the friction of the cotton yarns, which results in the loss of the indigo (blue dye). 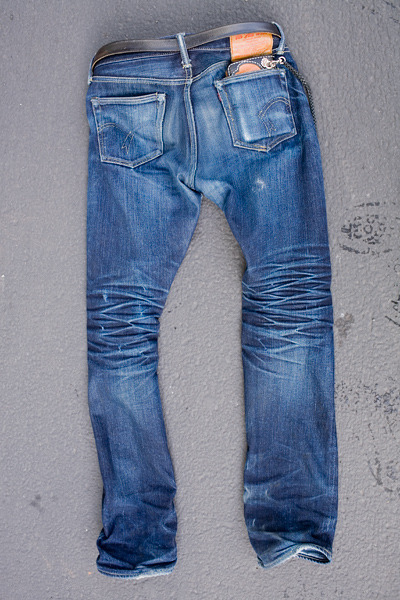 As your jeans are faded naturally with ITS use, you print YOUR tags. Liked the idea? Opens in another window this article where I explained better what is raw denim (denim raw and selvedge denim). Selvedge is one other detail very cool! 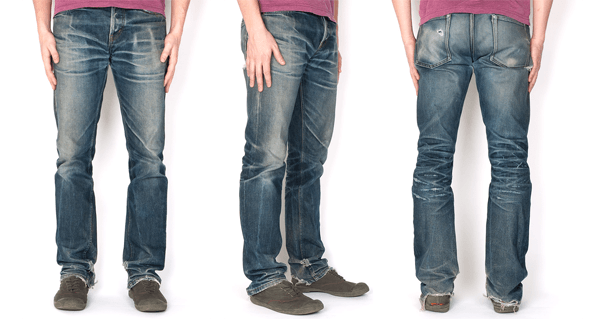 After you’ve mastered the basics you can delve into the subject with some details and variations of the jeans raw. I recommend these reads if you like jeans good! Already gave to realize that I have a quite peculiar when it comes to jeans. I confess that I have many in my wardrobe, but that is not why I bought all at the same time. Let me explain: I have two in rotation… a blue as well dark, and the other more faded. My cycle is buy a pair of pants raw whenever the other starts to become very marked. Are pants quality, and I ended up accumulating over the years because I am unable to undo a clothes so my. I made this article to show the result of years and years of use and explain why I think the denim (raw denim) so special. I chose some of my pants favorite brands varied and photographed the current state of each one of them to compare with when they were new. I hope that you who are entering this universe, and enjoy the result! Let’s start with the most annoying part. The parts that most pollute in the manufacturing of denim are the washes and the fading artificial. The chemistry is heavy. The raw denim is old school. Cotton yarn-dyed, the blue is natural indigo, even better (the synthetic is petroleum-based). Where this wire enters the loom, crosses with a thread of white cotton, and turn the fabric. The brand picks up the fabric, cut, stitching, and voila: you have your pants. You use it like hell and only buy another when the stick break. I have simplified greatly, but this is basically it. The first thing to use a raw denim is to put it in his head that his clothes will not be new forever. Jeans is not the Iphone that puts you capinha to protect. This is not bad, on the contrary. White tennis shoes dirty, suede is worn, a boot scraper, and jeans fades. This is a sign that you are living! It is funny to think so: the older, the more your and better. The most logical thing is to want to have everything brand new in perfect condition forever, but, incredible as it may seem, the clothes worn have always had a symbolism cool. Clothes detonated means something? Yes. I’ll explain what I’m talking about with some examples. Stand there. The first comes from Hollywood. In the movie “The Philadelphia Story”, the actress Katherine Hepburn plays a young, rich bride who noivou a young politician who tries to seem sophisticated. She is “old money” and he is “new money”. My favorite scene is when the guy reaches for the floor of a horse with a costume riding brand new. The girl looks crooked, throw it on the floor, throws him to the dust, and only after you approve. He is confused… says he lives saving to be always wearing new clothes. She amazon experienced, laughs, and says that he seemed to have jumped from a window display. There is a shade of red faded called “Nantucket Red”. The name is a reference to a region in Massachusetts where the rich americans velejavam. Are the guys who have studied in Ivy League schools and inspired the style preppy. This style revolves greatly around the pastel colors. The difference is that if in the style of “canned” everything is faded in the original style of the clothes often came out of the store with vivid colors. The red pants “nantucket red” stayed with this tone, both catch the sun. The guys could buy a pair of pants, but that red spent was a symbol of luxury and experience. The last example comes from the royal family. The nobility of the british is known for frugality. The shoes and the suits that he uses were custom-made by the great masters. Its only defects are not defects of truth, are only the clothes that embodied the life of its owner. For him, use them with pride is an act of respect for the life that he has built within these clothes and to the office of the master who made them. In a country with protestant ethic, the clothes are a symbol of work and of life’s journey. It is not only in contexts of affluence and money that the used clothing has meaning. The jeans and boots were the uniform of working “blue collar” made to withstand much shock. The outfit comes new and will only get dirty after a lot of hard work. They are broken in, they saw an extension of the trusted. New, are signs of inexperience. The jeans the boots with treatments wear attempt to reproduce artificially the patina and scars that the good stuff takes naturally with the time. Try to mimic the beauty of character and the shape acquired with the use. Clothing is an important part in the formation of personal identity, but rarely the choice of what they wear is voluntary, expressive and creative. On the contrary, our “personal identity” is controlled by social pressures that encourage us to stay within the bounds of what is normal and appropriate. Through the creativity of the fashion, some individuals are able to confirm or subvert these norms, transmitting visual messages encoded upon them. One of the rules in force in consumerism and modern is that to dress well means to track trends and have the latest news. Want to make us believe that we need to consume the postings trying to generate frustration in those who do not renew the locker every season. To sustain this cycle, the quality of the place to the low price and the volume. The consumer has been the undoing of the clothes without even having time to make them really your. They are discarded because they went out of fashion, or because that is poorly done does not stand up to time and usage. The only one who is concerned in purchase transactions at the tip of the curve know all about the clothes and the trends, except how to enjoy them. An outfit can be just an outfit, but not rarely, it can also reveal the legacy of a life. Yesterday I received an email with a chapter from the book “The Jacket of Marx” talking about the constructive force of the garment and the preservation of the traits of the people in the physical objects. The jeans is as well. Starts very dark, one color, hard, uncomfortable. With time, it softens, loses color, and becomes a second skin. He gets to turn the pair of pants that you do not think twice to wear. One less thing to worry about on your day =D. 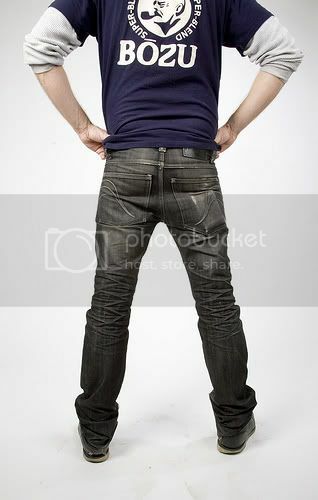 The jeans gross, as well as the leather, is a material that receives very well the brands of our body. In the beginning, is hard and rigid but with the time get soft, with the perfect to the owner. That is why I like both of my. I can not stop using them. I bought totally raw, without any washing. Not killed myself working with your hands, but they are marked by the travels I’ve done, the parties I went to, the time on the bus with my fellow members of the sport and even my first job. It was with one of them that I saw the snow falling for the first time, with the other I climbed up to the top of a volcano in Hawaii. I spent the new year in Italy with my family and I made the first trip with my girlfriend. Some places are more faded because of the bike, some tears happened in a cave in Budapest. Even has the brand of cell phone that reminds me of my old Nokia. How much life is needed to be able to details that these brands spend time and money to replicate? Are details my and has people who are paid to develop washes that pollute and will never be able to make the marks in the right places, because every body is different. This outfit was molded by my touch. Received and withstood all that I threw on it and got my way. When I’m sad, because I spent a lot of time on the computer I look at these poor fellows, and I remember how much good stuff I’ve done and still can do. When you have choice, do not buy products worn artificially. Buy the most natural possible, and go live. Enjoy the process, express your individuality! Just as a good wine, a bronze sculpture, or an oil painting, it is only with the passing of the years what clothes and shoes really quality acquire the character of their own which gives them their individuality and dignity. Your denim is your. A white canvas to express your personality. Man, woman, child, grandfather. Farmer or CEO. He takes on the personality of who uses. The raw denim has not been pre-molded. It fades and takes its shape. It is almost a living thing. A pair of jeans that you use several times becomes part of you. Reflects your personality, you represents. Your faded denim is one of a kind! Arrive to chat and let’s get to what matters! I chose these four pants made with denim jeans raw selvedge to show the result of the time-of-use. The so-called fades. They all have different ages and are made with denim differently. I think it will take to realize as well the difference of one tissue to the other. It was fun to take these photos. Up there I spoke from memory, and these pants have the trademark of a celularzão old that I wore. Other already do not have this brand of phone, because I used a lot at a time of carrying the phone in the folder that was going to work! 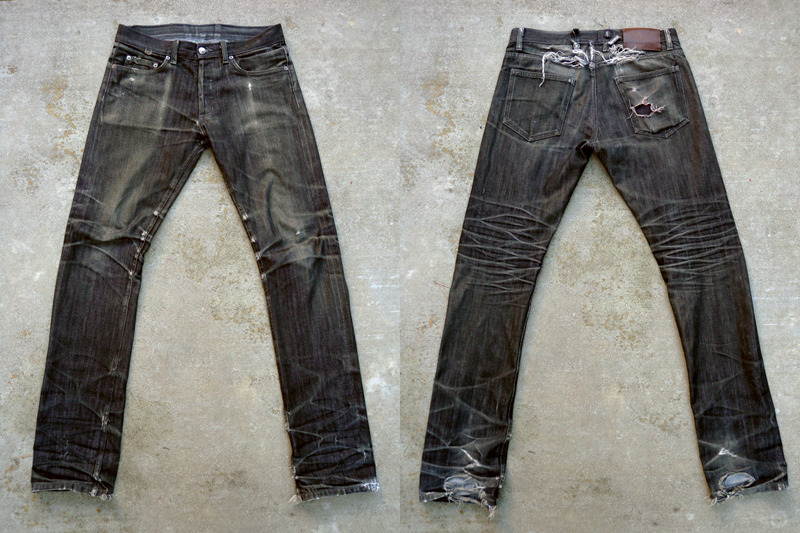 The first pant is a model of the mark 3 Sixteen. It is one of the brands of raw denim that I have recommended along with the other 10 in this post. This fabric is made especially for them in a factory of Japan. The jeans is not sanforizado. They call it “loomstate” (loom is the loom). The idea is that it is exactly the way that came out of the loom (in addition to the sanforização the jeans, goes through other processes). Before use I let it soak, then those who bought a jeans from Levi’s Vintage Clothing you can be confident that it will fade even after wetting for the first time. Another difference is that, instead of being made with weft and warp blue and white, it is made with blue on one side and black the other. The result is pretty cool, it is with a lot of contrast in the blue. This Edwin was one of the first that I bought. I don’t remember the model name, but it is a replica in style of the first Levi’s 501. She even had a rivet in the hawk, but it went off. War injury! A nice detail is that the pocket has a half lining, and the seams of this lining began to appear on the merida that the jeans desbotou. Notice the horizontal stripes near the “W” in yellow. Another thing… don’t be sad if your jeans rip. The first place to give will be the groin, especially if you stay without washing very time. I already had to patch the crotch of this pants several times, and now the leg started to tear. These pants from APC was the first raw denim that I bought. I think that this is true for the majority of people who began to enjoy the material. It was a hard time to buy! The numbering of the APC is crazy and the jeans gives in a lot. I remember browsing through the forum finding out whether the ideal was to buy 1, 2 or 3 sizes below the normal. It was one of the first pants of this type sold at an affordable price outside of Japan, and no details exaggerated. A lot of people talk about the evil of jeans from APC, but I have a very special affection for the 3 pairs that I have. Among them all, this is the coolest thing. The pants is already almost white in some places. The jeans from Unbranded is a great option for those who do not want to spend too much. This brand is super affordable and has cuts for all body types. I have a tapered and a straight and it was easy to buy. The numbering of the site is very well measured. The denim starts out very dark and in my opinion pulls to the green. I don’t have picture of it new but I took this here when it was not yet so used. The denim is dark, but unlike 3Sixteen, she is white on the inside. This is it! These are some of my denim favourites after a lot of ground! Started dark blue, all uniform, and now begin to look like those pants vintage desenterram there. The brands spend a lot of money to develop, and pollute many rivers (the washing process and fading of jeans pollutes a lot) I did it alone with “technology,” old school: my legs. If you enjoyed start this journey through this list with some brands of raw denim for you to try outand this post with some online stores where you can find the best raw denim. To use jeans, that is good to have a good boot to go with it! If the league in the best brands of boot for men in the worldfor you to choose a product that will accompany your pants for years and years.